Swiss Arms ADAPT-X Universal Holster (Battle Grey). Swiss Arms ADAPT-X Universal Holster. Do you have this positive problem that you happen to own multiple pistols but not a single proper holster for them? Well Swiss Arms has developed a new holster called Adapt-X to solve this issue. 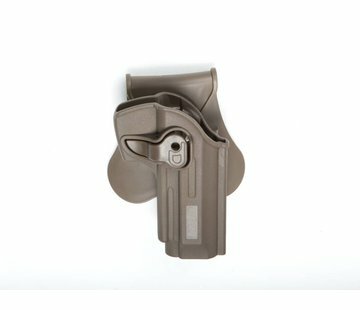 This holster has been done out of very durable polymer plastic which allows it to be adjusted to fit almost 200 different pistols into it. Among few of the pistols worth mentioning are G-Series, Sigs, Berettas oh and Desert Eagle and MK.23 socom as well! Addition to these are the replica versions of the guns because originally this holster is designed for the real guns.